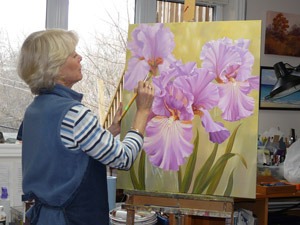 Marianne has over 30 years of art teaching experience, both for children and adults. Details of her teaching history may be found on the “About the Artist” page on this website. 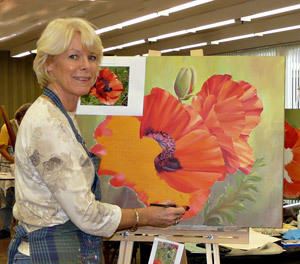 Join Marianne for an inspirational journey in acrylics or watercolours. 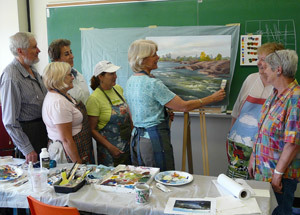 She teaches full day workshops for various art groups and organizations and week-long programs at locations such as Haliburton School of the Arts. 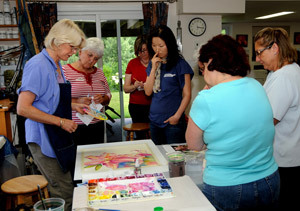 Classes and workshops focus on Flowers, Landscapes, Abstracting the Landscape, Loosen Up Your landscapes, Non-objective Abstracts or sometimes a combination of all these in longer courses. 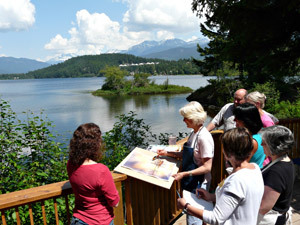 All levels of painting experience can be accommodated. Individual assistance is available to you from an experienced teacher and supportive mentor, no matter where you live. One-on-one attention with a knowledgeable and encouraging teacher can really help to bring your skills to the next level. You may wish to learn new techniques, start a new project or finish paintings that need some inspiration. 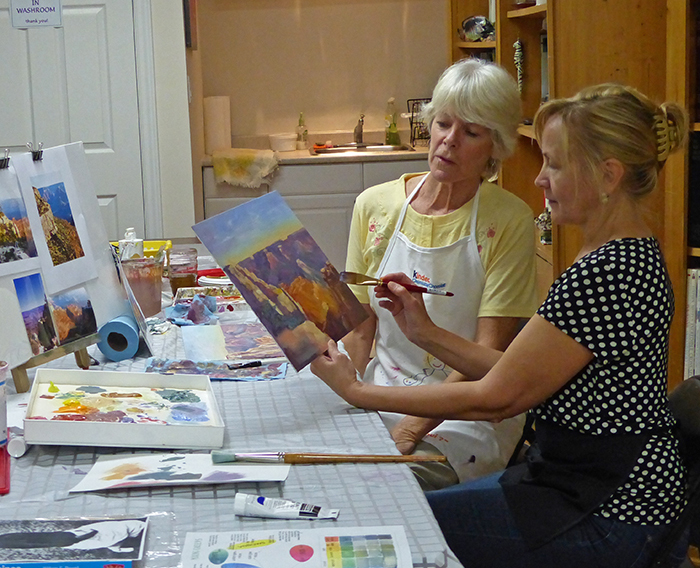 Whatever your level of painting, beginner to advanced, I can provide individual instruction and mentoring that focus on exactly what you would like to learn. t my studio or your location. 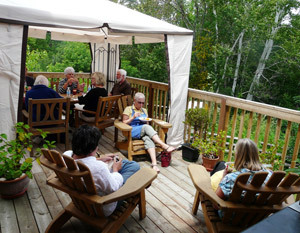 Semi-private classes for two or three people, or a private workshop for your group can also be arranged. From my studio to your computer! 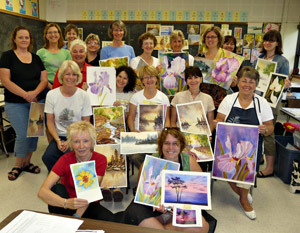 Marianne teaches online workshops from her studio and classes through Craftsy and other online venues. Past online workshops are available as DVDs or downloads. STUDIO TOUR KING April 27,28. 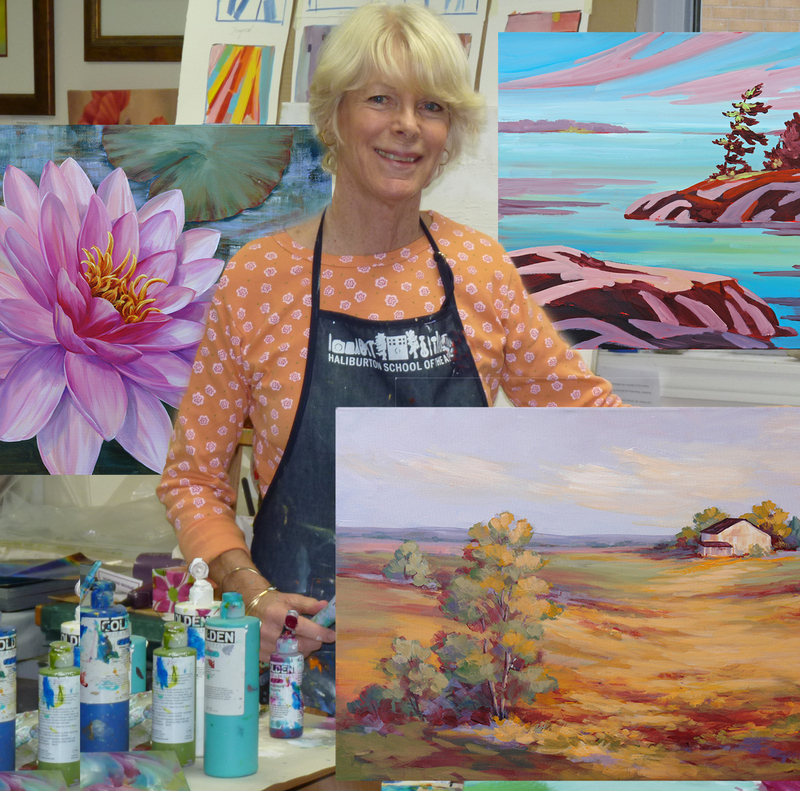 Come and visit me at my studio! MORE WORKSHOPS WILL BE ADDED AS THEY ARE CONFIRMED. STUDIO TOUR KING April 22, 23 Come and visit me at my studio! 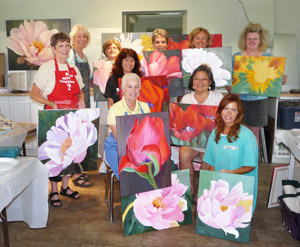 June 3,4 TWO DAY ACRYLIC FLORAL WORKSHOP. June 10 ABSTRACTING THE LANDSAPE IN ACRYLICS. 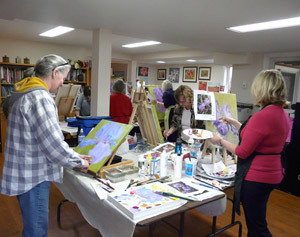 MOMIIJI CENTRE, MARKHAM November 30, Dec1 ACRYLIC FLORAL WORKSHOP. For more info or to register, call 416‐261‐6683 ext. 242. MORE WORKSHOPS WILL BE ADDED AS THEY ARE CONFIRMED. STAY TUNED! STUDIO TOUR KING April 23,24 COME ABND VISIT ME AT MY STUDIO! 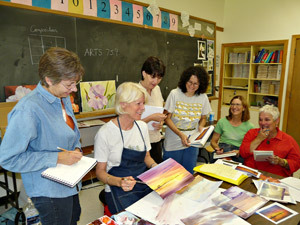 More online classes and workshops at Nature’s Edge Studio and other online venues are in the works.